Many CIOs that we work with are challenged with the cost and staffing issues of their mainframe. Some of them have selected mainframe outsourcing as a way to alleviate these problems. The decision to outsource can be a complex and daunting task. A number of critical issues need to be considered when evaluating outsourcing. Therefore, we have designed a complimentary one-on-one mainframe outsourcing webinar to educate our clients. 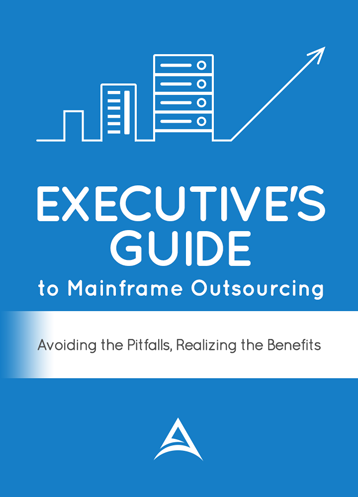 How much does mainframe outsourcing typically cost or save organizations? How are vendors are able to provide savings? How does utility pricing work? Are there any onetime costs? What happens if CPU and MIPS utilization changes over time? How do you negotiate the best costs? What does the RFP process look like? How long does it take to find and engage with a vendor? How important is it for a vendor to have other capabilities? How important is vendor location? What are the implications of onshore vs. offshore? How do companies ensure that they find the best vendor? How long does it take to transition support to a vendor? What are the risks during the transition process? What are the different steps in a transition? How do transition fees work? What do companies need to be aware of in contracts? How long are outsourcing contracts? How do you negotiate the best outsourcing contract? How long does it take to negotiate a contract? Whose contract should you use? What happens to a client’s hardware if owned or leased? What happens to software licenses when outsourcing? Do software companies charge a fee to move to a vendor? Do you convert to a vendor’s software product? What if you are transitioned to a larger CPU? What are the risks of latency and network connectivity? Who provides Disaster Recovery support? What functionality is typically outsourced? How do you tell your staff? Do outsourcing vendors hire staff? How to incent your staff to stay during the transition? If you are considering outsourcing and want to avoid the pitfalls and maximize your benefits then this is a perfect educational session for you. This will be a customized webinar for you and your team.